Exporting to new markets around the world is of course a great opportunity for UK businesses to scale and spread risk. Being involved in international trade is also a great way to gain an understanding of the diverse cultures and people within markets all over the globe. Yet while it is important to understand and in many ways embrace different business cultures when entering new markets, it is vital that you also understand there is risk involved. This risk can range from misunderstanding particular cultural nuances to the more serious legal and ethical risk of fuelling corruption in these overseas markets. Transparency International UK is among an important group of organisations combatting corruption in the UK, with a priority of ‘reducing the UK’s role in fuelling corruption overseas’. Their campaigning played an important part in bringing the Bribery Act into force in 2011, introducing new offences including bribing a foreign public official. Most British businesses are not involved in corrupt practices when dealing with international partners, but it is not uncommon for a British business to be placed in an uncomfortable position when a partner says that it is part of their business culture to offer ‘gifts’ or ‘donations’ to public officials to help move a deal along. It is for this reason that the Bribery Act has come into being: to prevent acts of bribery, from small gifts to serious donations, from creating a culture of endemic corruption, for the sole purpose of winning overseas contracts and increasing your own revenue. 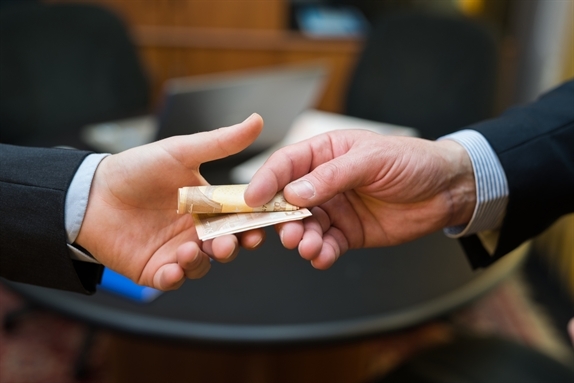 Ultimately, if you feel there is a chance that what your international partner is asking for is a form of bribe – implicit or explicit – it is for the best that you avoid obliging. You may risk to lose money from not finalising that deal in the short-term, or you may have to pay extra when getting your goods through customs by not bribing a customs official, but in the long-term good practice will avoid the risks of punishment for non-compliance and also prevent your business from contributing to endemic corruption in the overseas market you are selling into. Perhaps most importantly, don’t take risks you don’t have to take when it comes to gifts and donations. There’ll always be more international partners out there, so if a potential partner is asking you to do things you know you shouldn’t or that you feel uncomfortable with, don’t feel obliged to partake just for the sake of a short-term gain. Ultimately that short-term win could have longer-lasting effects on your business via fines and reputational damage, and even worse, it feeds into endemic corruption that harms the lives of many, many people. Previous Post Food and Drink Feature 2017 Next Post Entering the French market – what do you need to know?